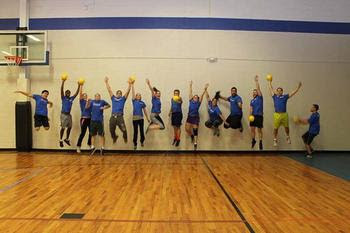 MN Twin Cities WAKA Kickball: WAKA Dodgeball! On Voting Day, we ask you to VOTE FOR FUN! We know there are a lot of choices out there but we're planning to make dodgeball great again! Looking for another way to meet your New Year's resolution of getting in shape? Want something that is FUN and ENGAGING?! Want to meet awesome new people while you're doing it?! JUMP INTO DODGEBALL! Don't miss out on our very first WAKA Dodgeball league in Minneapolis! Games will be played Sunday nights at Jefferson Elementary starting THIS Sunday! SIGN UP NOW! We'll be partying at The Fremont after all games! Registration for kickball will be back in the next few weeks as well! Keep your eyes pealed!